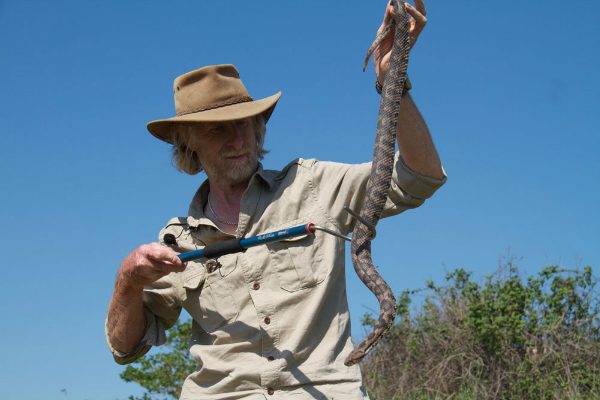 Most people have touched the fringes of true passion, TV presenter Mark O’Shea lives and breathes it, whether he’s trekking through jungles, swamps or deserts in pursuit of wildlife, his passion for nature is unrelenting. 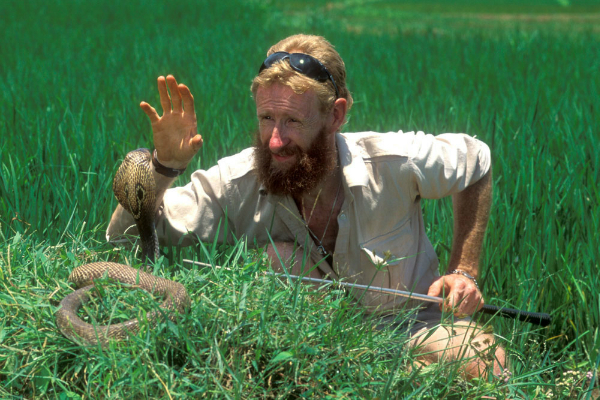 Mark O’Shea has conducted biological fieldwork and snakebite research projects in the Tropics since the early 1980s and has been involved with television since 1986. 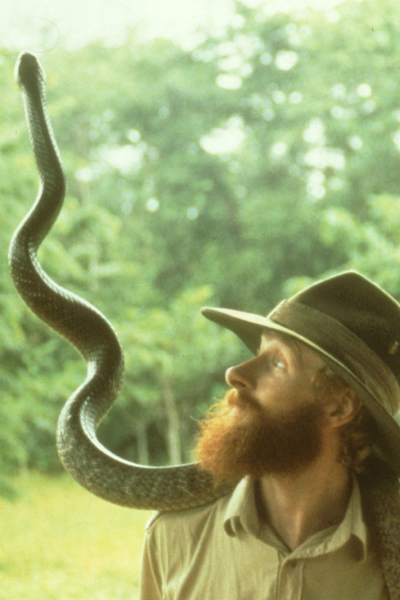 Blood, Sweat and Snakebites tells the story of the making of these films, the successes, the failures and the important scientific discoveries they made en-route. It also takes you behind the scenes and shows how Mark and his crew lived, worked, travelled, slept and ate on the filming expeditions. 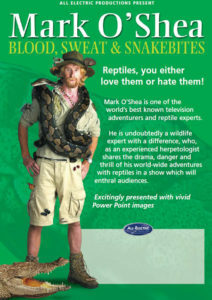 Mark O’Shea is an internationally renowned TV presenter and one of the top reptile experts in the world, his understanding and respect for wildlife in general and for reptiles in particular is undisputable. 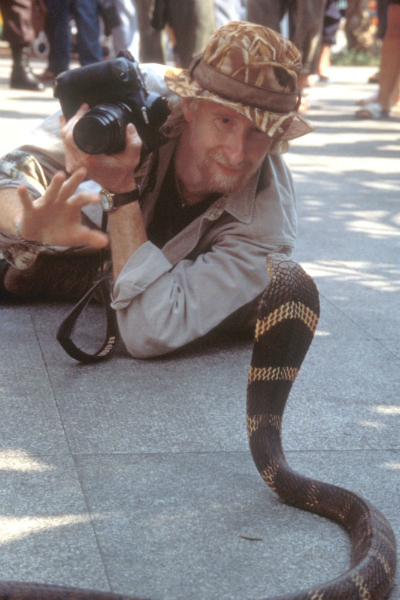 He is also an explorer, professional photographer, author, public speaker, a respected scientist, a powerful advocate for herpetological conservation issues and a fervent supporter of snakebite research – due to the fact that every year up to 120,000 people needlessly die of snakebite. Mark is an engaging speaker, endowed with the power to communicate his unbridled enthusiasm, sincerity and authenticity with a passion that brings credibility, respect and profound knowledge to any production. Accomplished at one-take ‘pieces to camera’, combined with a natural gift for ad-libbing succinctly, make him an invaluable talent. 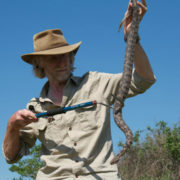 Mark has presented almost 40 adventurous natural history television documentaries for Animal Planet, Discovery, Channel 4 and ITV Central. 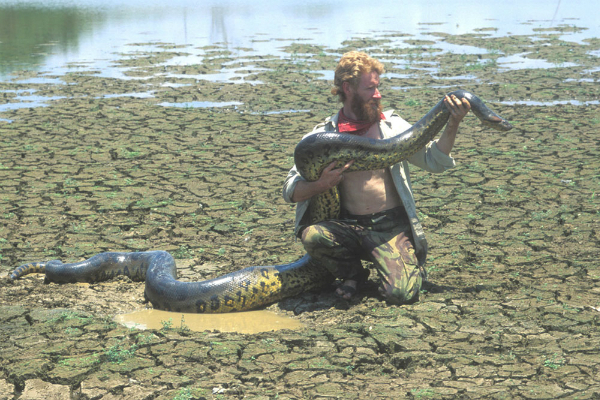 He presented four series’ of the critically acclaimed O’Shea’s Big Adventure (Animal Planet) / O’Shea’s Dangerous Reptiles (UK’s Channel 4) which made him popular with audiences around the world. 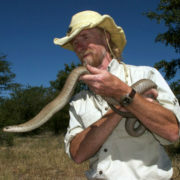 Other films included Giant Snake, in Venezuela, Black Mamba, in S.Africa, and Safari Park, in Namibia, but Mark has also highlighted the plight of adders in his native Midlands for Animal 24/7 (BBC), Midlands Today Springwatch (BBC), and Saving Planet Earth (BBC), and reported on the effects of the Dangerous Wild Animals Act for BBC East Midlands Inside Out, filming in the UK and Holland. Other television appearances include childrens’ programmes such as Blue Peter, daytime shows such as Ready Steady Cook and Celebrity Eggheads; US and UK chat shows, eg Graham Norton, and frequent appearances on radio. 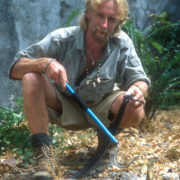 Mark’s vast experience and knowledge in the field of zoology and exploration was recognised by the Explorers’ Club of New York (British Chapter), who awarded him with one of only eight Millennium Awards for Services to Exploration (the Zoology Award), placing him alongside astronauts Buzz Aldrin and F. Storey Musgrave, mountaineer Sir Chris Bonnington CBE, and polar explorer Sir Ranulph Fiennes OBE. 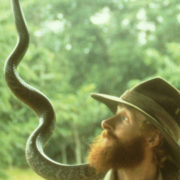 He has participated in numerous scientific expeditions to the tropics, for Operation Raleigh, Discovery Expeditions, the Royal Geographical Society, Oxford University Dept. 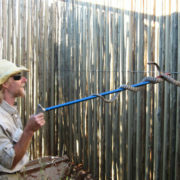 of Medicine, the Liverpool School of Tropical Medicine, the Australian Venom Research Unit, University of Melbourne, and Victor Valley College, California. 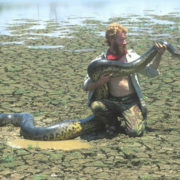 His current research projects are centered on Papua New Guinea and Timor-Leste and range from biological surveys to snakebite research. In the course of his work he has survived the bites and stings of venomous snakes, spiders and scorpions ……these experiences and many more have textured the fabric of his life. 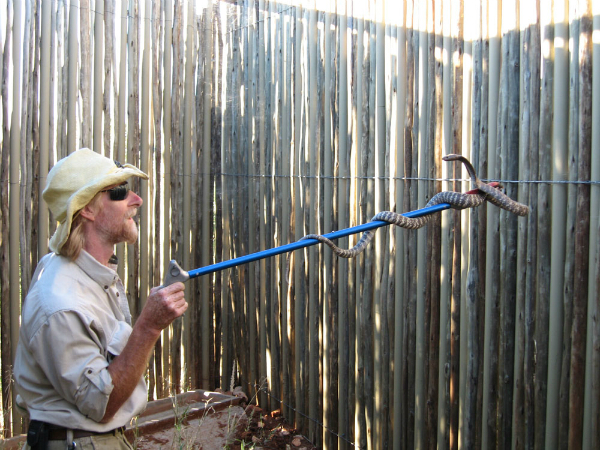 In August 2012 Mark hit the national and international headlines, following a close encounter with his 10ft female King cobra “Sleeping Beauty”. 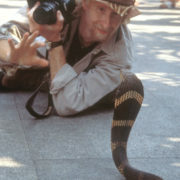 He remains one of the few British wildlife film presenters with such an international reputation that the story went global within hours. He is also knowledgeable in history, military history, geography and biogeography (the study of the distribution of animals). 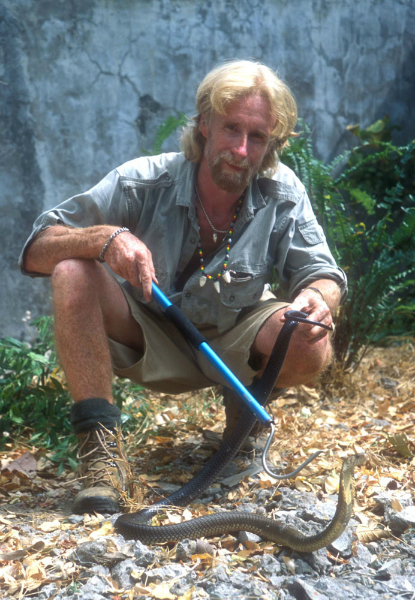 Although he lives in beautiful rural Shropshire, Mark is particularly at home in the world’s jungles, deserts, savannas and swamps, particularly the snake and croc-infested ones. 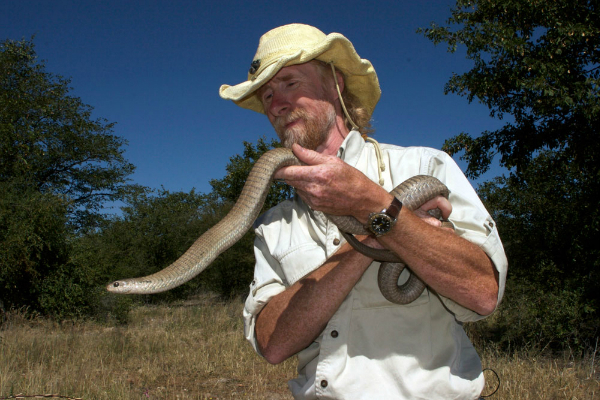 On 18th September 2018 Mark O’Shea was appointed Professor of Herpetology at the University of Wolverhampton, the same institution from which he graduated when it was a Polytechnic in 1985. 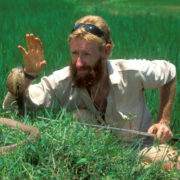 Mark’s post is for research and teaching herpetology and related subjects to BSc and MSc students.